Rob Delaney said having another child doesn't ease the pain of losing one. 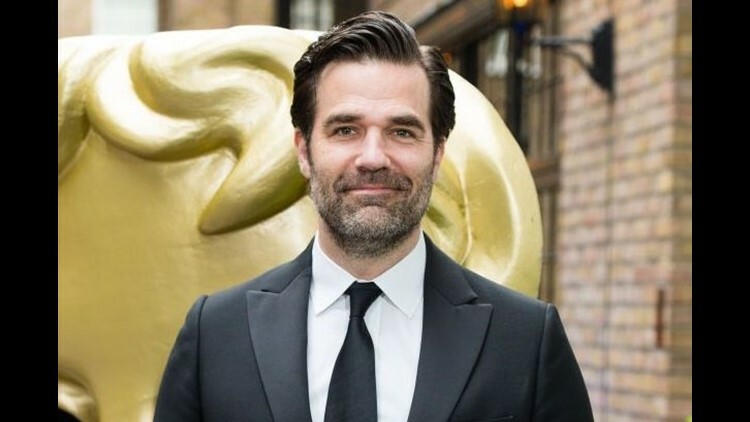 Rob Delaney is a father again and it's a rush of "mixed feelings," he said. The "Catastrophe" star told the U.K.'s "The Sunday Times Magazine" that his wife Leah Delaney gave birth to a son in August. The baby boy's birth came seven months after his 2-year-old son, Henry, died of brain cancer. "We likely would’ve had a fourth anyway,” said Delaney, 41. "But I mean, there’s mixed feelings. It’s sort of like they (Henry and the new baby) touch each other a little bit, but they almost exist in separate lanes." Henry was diagnosed with a brain tumor in 2016, after his first birthday. He underwent surgery and treatment and died in January 2018. In September, Delaney wrote a heartbreaking essay to let parents of other sick kids know they weren't so alone. "A regular baby’s smile is wonderful enough," he wrote. "When a sick baby with partial facial paralysis smiles, it’s golden. Especially if it’s my baby." Henry was the first person he told about the pregnancy, Delaney said. To the rest of the world, Delaney announced his wife was expecting another child on Twitter in June. The birth of another child doesn't negate the pain of losing one, he added. "Having another child in no way, shape or form eases the grief of Henry dying. But also having Henry dying doesn’t make our new son any less magical. I want to gobble him up and he deserves our full attention and love, and he grew in the same womb as Henry." Here's wishing the little one creates some magical moments for the Delaney family in 2019.